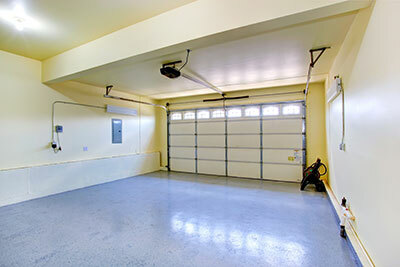 If you are one of those homeowners who does not have a garage door opener yet, but are planning to get one, you must know the different types of openers to be able to choose the right one that will work best for you. Each type is different from one another and can be classified by the mechanism they use to function. One type that is considered to be the best for residential purposes is the belt-driven opener. This uses a rubber belt and makes the door run smoothly and silently. This is the most expensive among the three types but is great when you have bedrooms or a living room that is close to the garage. This is also the best choice when you live in cold areas because of its capability to withstand very low temperatures. Another type is the chain-driven opener and is cheaper than the first one. This is the type that creates the loudest noise so this is good to use if your garage is single detached or far away from other rooms. This is only suitable for areas that experience mild winter because it has lots of metal parts. The third type is the basic screw driven opener and is the most cost-effective. It consists of a one long threaded screw that opens and closes the garage door. It is sensitive to temperature so it is only best to use in areas where the climate is consistent the entire year. It is also capable of lifting very heavy doors, so it is best for industrial and commercial establishments. Why do you need an opener? No matter what type of opener you decide to use, the important thing is that all of them will provide much convenience. If you get it installed by technicians from our garage door company, you don’t need to go out of your car to open and close the door because it will move by just pressing a button on the remote control. It also has sensors for safety so that it will stop when it detects an obstruction.